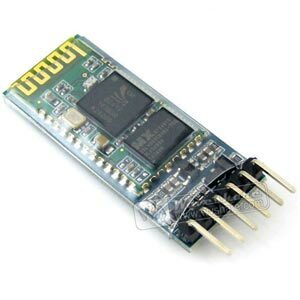 This Waveshare module is fitted with an NRF51822 Bluetooth chip. 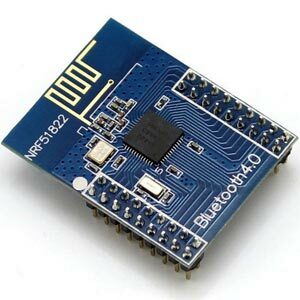 It is simple way of using these new Bluetooth 4.0 low power nRF51822 SoC. 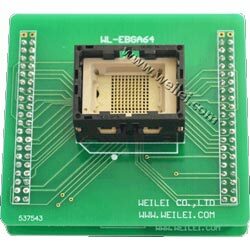 Wellon WL-EBGA64-E145-1 64-pin BGA adapter for Wellon universal programmers. This adapter is 1.0mm pitch 8x8, 10x13mm chips. 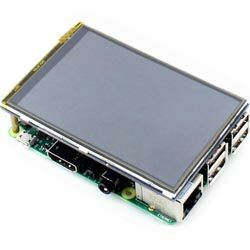 This adapter uses a QFP44 (0.8mm pitch 11x11) (OTQ-44-0.8-04) socket. 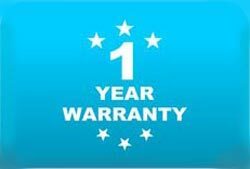 Its sizing is (0.8mm pitch 11x11 12m x 12mm package). 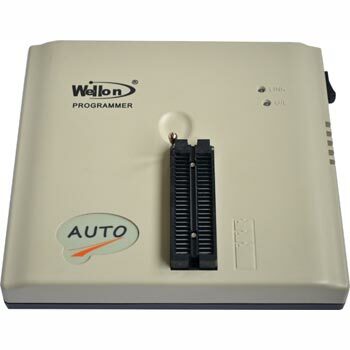 Wellon Universal ISP Fast USB 2.0 universal programmer for a huge range of devices, including microcontrollers and memory. 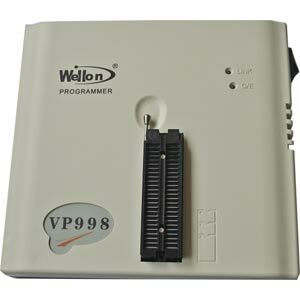 It can be used from the PC USB port or operated in standalone mode from its keypad and LCD. 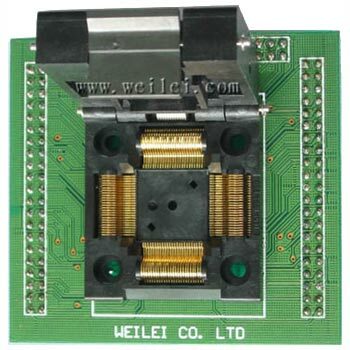 For 44-pin devices in PLCC packages, and for programmers with 48-pin ZIF socket. For 44-pin devices in PLCC packages, wired to 40-pin DIP outline. 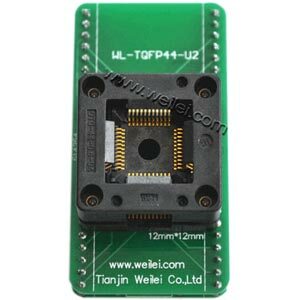 Converts from DIL ZIF socket toSOP40 (1.27mm pitch 14.2mm width)(OTS-32-1.27-16).Can be used with Wellon and other programmers. 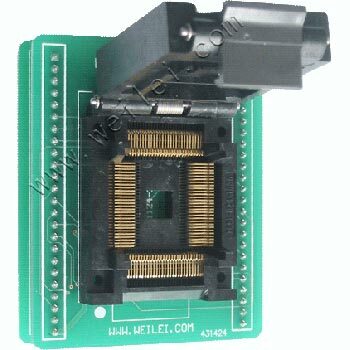 Converts from DIL ZIF socket to SOP44 (1.27mm pitch 15.9mm width) (IC51-0442-1208) Can be used with Wellon and other programmers. 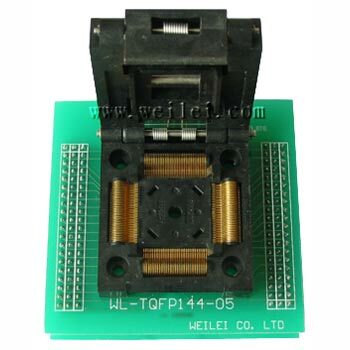 Converts from DIL ZIF socket toSOP6 (0.95mm pitch 2.8mm width)(499-P44-10) Can be used with Wellon and other programmers, for PIC10Fxxx devices. 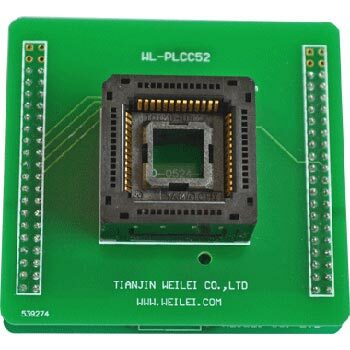 Socket converter for some Texas Instruments microcontrollers in PLCC44 package. 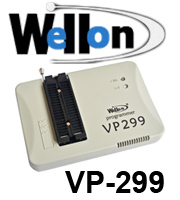 Wellon WL-EBGA64-E145-2 64-pin BGA adapter for Wellon universal programmers. 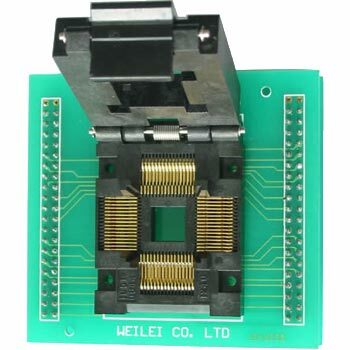 This adapter is 1.0mm pitch 8x8 for chips that are 10mm×15mm.